I'm back with another haul! I've been on a shopping spree lately lol. I have some weddings coming up so I decided to take the time and restock my kit. 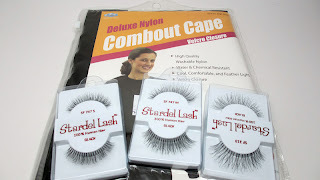 I picked up 5 dozen pairs of my favorite lash which is in the style 747s. A lot of brands carry this style, this one happens to be Stardel. 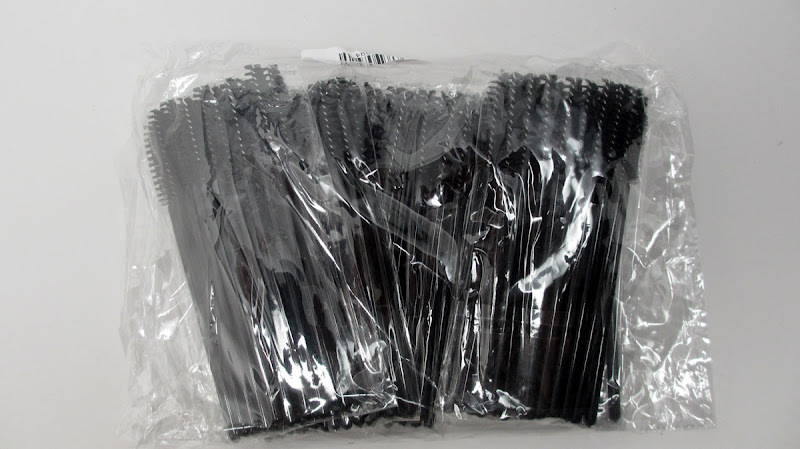 I picked up 5 dozen because it's my go-to lash on a lot of clients and I usually run out of them quick. They're always out of stock when I try to buy them in bulk so I picked up a bunch! I also picked up 1 dozen of the #213 style which is pretty popular as well. I got 2 dozen of the 747m style which is a little longer than the 747s, for those who might a bit more drama. This is the best deal ever too...$12.95 for 1 dozen quality lashes. 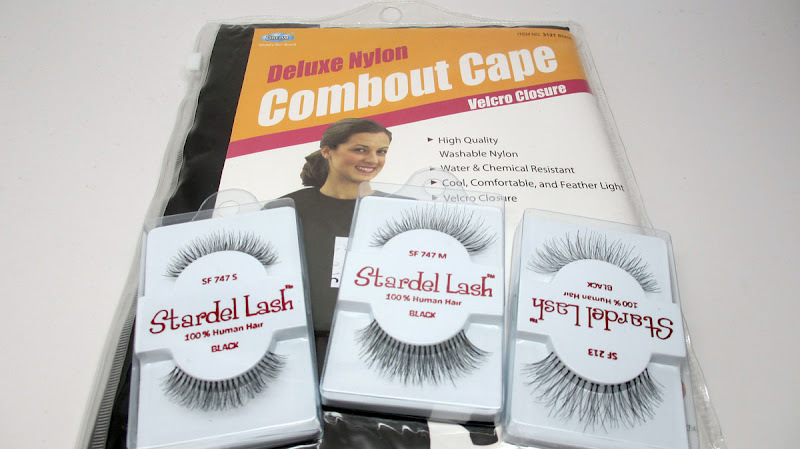 Don't be fooled by some of the ebay bulk lashes from Hong Kong because oftentimes they're synthetic and you don't get the styles you want. I also picked up 2 nylon capes. 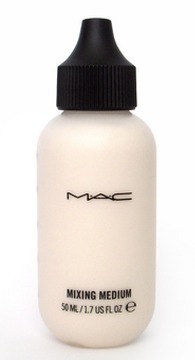 This comes in handy when you're doing makeup so you don't get any on your client. I usually buy in doubles to have one in my traincase and one in my studio. This retailed for just $5.50 each. If you go to Sally Beauty they're usually at least $10 to $15. I placed an order to MAC Pro for some items for my kit and myself. I've had these items in my cart for a while and decided to finally bite the bullet since I have some gigs coming up. A lot of these shades are women of color friendly as that is my main clientele. You can't have enough mascara wands in your collection. I got a good deal on these from ebay, 100 wands for about $10, including shipping. The only downside is that it takes a while to ship since it's coming from Hong Kong. 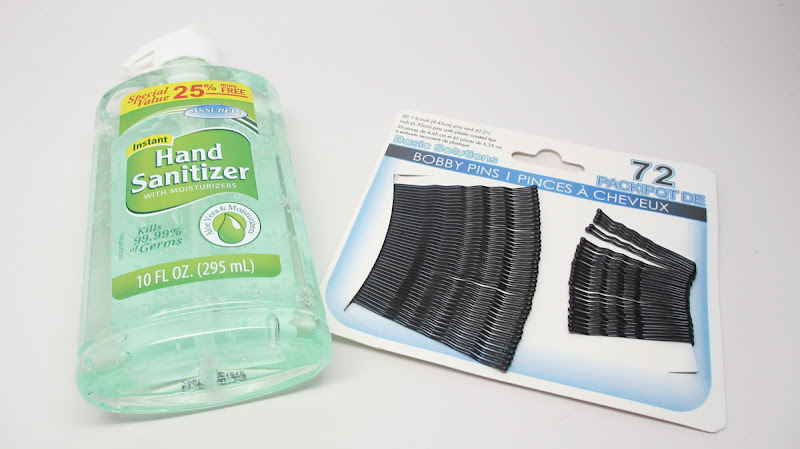 You can pick up some essential items from the dollar store including hand sanitizer, bobby pins, and wipes for $1 each! 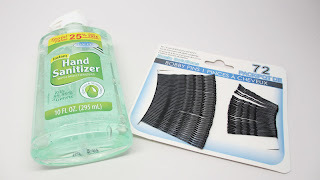 I picked up some basics such as waterproof mascara and clear mascara for brows and yes, more wipes! Hope this helps, Happy Friday! Thanks for sharing! 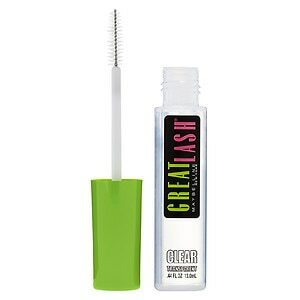 I have been looking for a clear mascara to give more shape to my eyebrows. Which brand do you use? Great! Thanks Ren. Where did you order the mascara wands?